Business owner Kamil Shah shares the story behind Olive Branch, a company that’s dependent on Britain’s strong trading relationship with Europe. Hi Kamil. Tell us a bit about Olive Branch. What do you do, and how long have you been doing it for? We produce extra virgin olive oil and olive-based products on the island of Crete in Greece, which we then import into the UK and supply into retail and restaurant channels. We make really good quality products that have a lot of provenance and fantastic tastes. Our products really appeal to foodies, and to high quality chefs who want the best of the best. We're a relatively new business. We've been going for about seven years in a competitive space. We consider ourselves to be a challenger brand because we have big aspirations. With extra virgin olive oil being a very traditional market dominated by lots of large companies, it can be perceived to be a market that's very difficult to break through, hence why we consider ourselves to be a challenger brand. Why did you first decide to go into business? My wife is from Crete and her family have olive groves. They were harvesting from a few trees for their personal consumption. We decided to restore all of the trees that they own, so that we could harvest them for all the crops that they could potentially harvest. It's such a good-quality oil. It's got so much flavour, a really nice fruitiness, and when I first tasted it myself it just blew me away. We thought that with such an amazing resource we should do something with it, and that's what triggered us to set up Olive Branch. What’s the best thing about running Olive Branch? It's nice to be at the trees when it's harvest time in December – to be harvesting and then taking the olives to the mill and seeing them being pressed, because that is essentially our product. It’s one of the best things about the business, and one of the most important things to us. 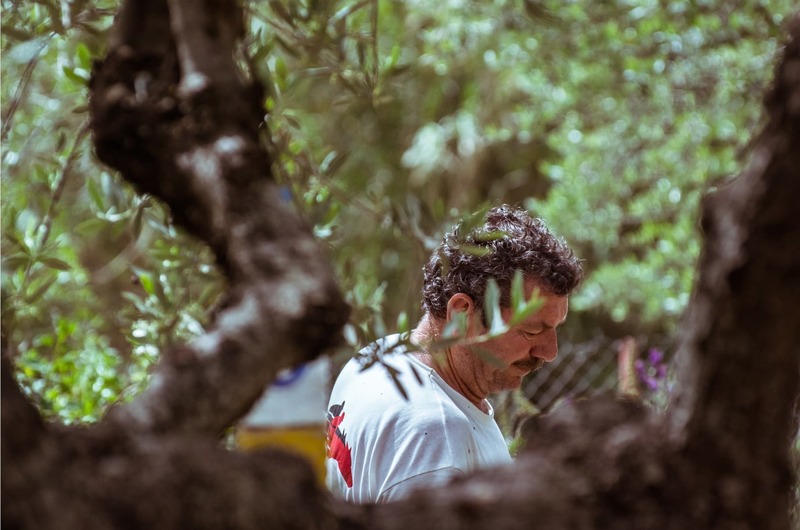 It's also very important and pleasing for us when we have the opportunity to present the product to potential customers and chefs, and seeing their face light up when they taste our extra virgin olive oil. We want the British public to really understand and enjoy the benefits of great quality, freshly pressed extra virgin olive oil. If we see chefs' faces light up and they want to use it, it means the customers dining at their restaurants will have the chance to enjoy it as well. What’s the most difficult thing about running your business? At the moment it’s Brexit. The biggest challenge is the fact that we don't actually know what is happening so late in the juncture. Whichever scenario does move forward, we don’t know what the situation is or what we’ll need to do. We feel that the way this has been handled is very unfair on businesses like ours. We’re doing our best to set up and grow a business. We pay tax, we employ people, and it feels like the government doesn't really have businesses' interests in mind when they're leaving things to such a late juncture. As a business with a strong link to Europe, how do you think Brexit will affect you? We're dependent on Europe. Businesses that are involved in olives and extra virgin olive oil are dependent on a sound relationship with Europe, because Britain doesn't produce these products. Around 30 years ago, people would have to go to a pharmacy to buy extra virgin olive oil. It was hardly available in supermarkets, but people now understand it's a fantastic product – beautiful in flavour and very healthy. It's now the dominant oil in supermarkets, but people take it for granted. There's a wealth of resources in Europe that benefit us as a nation, and Brexit could restrict our access to it. I've used the example of extra virgin olive oil because that's relevant to our business, but there are dozens of European products that benefit people's lives. We often take them for granted, but without them our lives are going to change dramatically. If we have a Brexit with a good deal with Europe our business shouldn’t be impacted too much, but if we have a hard Brexit with no deal then we will be. So will lots of other businesses, because our trading relations would be changed. We'd have to set up a tariff regime with the World Trade Organization, we'd potentially have import duties, we'd have additional paperwork for customs clearance. It has the potential to change the landscape of the country completely. Thanks for taking the time to speak with us, Kamil. Kamil in the olive grove.